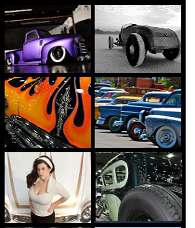 This is the 4th installment of Hot Rods at SEMA Show 2013. This ones so cool, I had to show it! Unlike the 4-banger in my roadster, this one’s running a Chevrolet IMSA Spec LS3. What does that mean besides, “TONS of go in a small, lightweight car”. According to the show card, this is 1 of 2 prototypes built using a monocoque frame. Careful design including a handmade steel body with an aluminum track nose and hood results in a featherweight 1600 lbs dry. The builder is listed as Track Master Products. I looked and didn’t find a website, but these guys killed it. I want to fold up my legs, forget ever having a full size man as a passenger and go for a long, but high speed, drive! 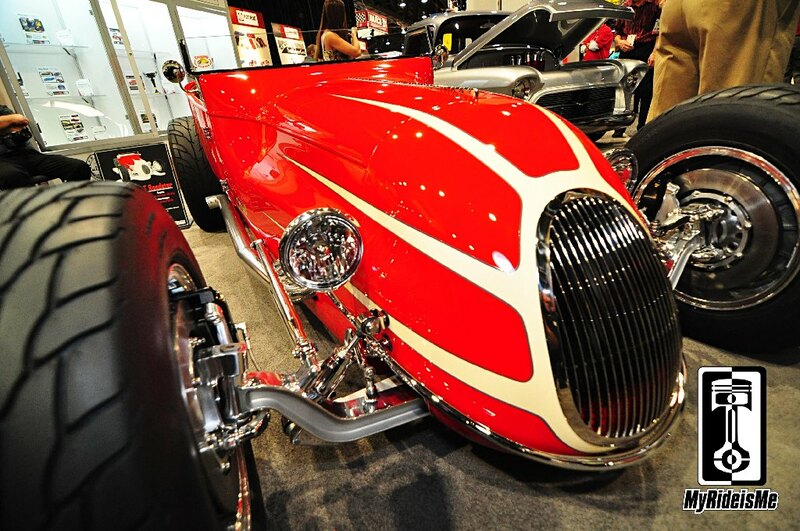 Perfect execution of a no nonsense hot rod interior. 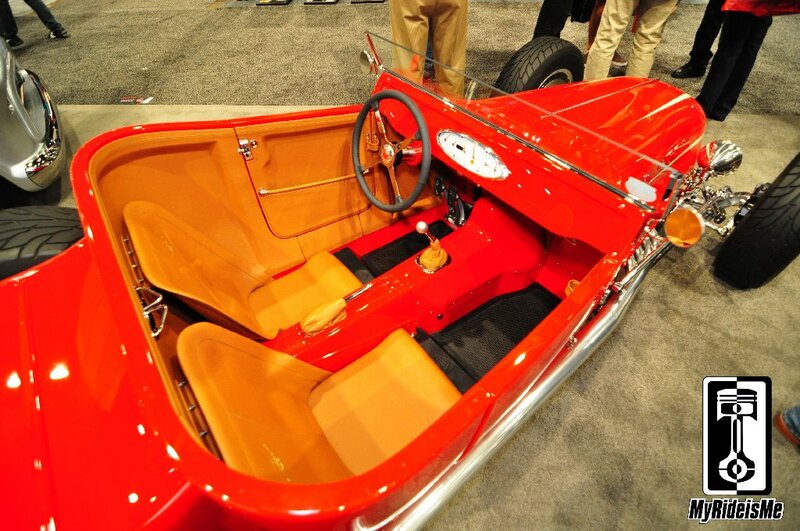 Like all modern day show stoppers… this roadster also features a 3rd pedal. Gear changes rip thanks to a Keisler Modified SS700. I had no idea what a SS700 was, so I looked… The Keisler guys ask for a SS700, “If you could make a wish for the best manual transmission, what would it look like?” Like I said, I volunteer for a test drive! I swear… those gorgeous tan scollops add 15 mph of top speed on the track, at Bonneville Salt Flats, anywhere! Anyone know the folks at Track Master Products? 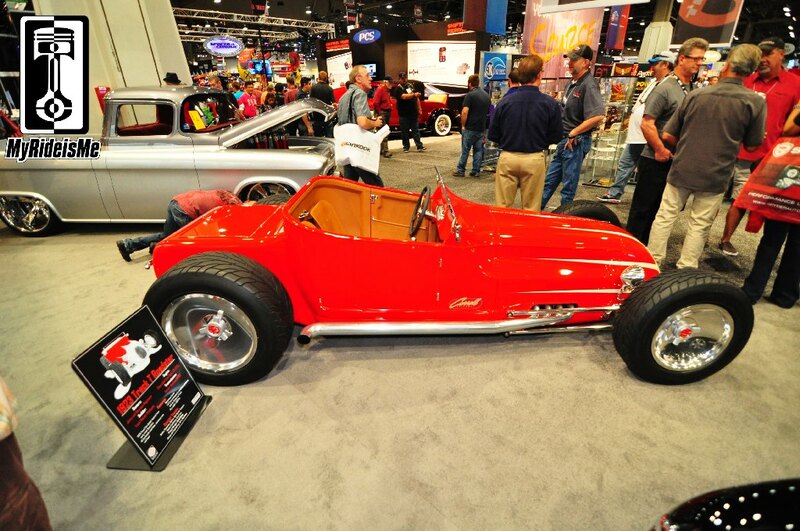 I’d love to get a few more details on this killer Track T Roadster! Until then, I’m content to drool and imagine that test drive. 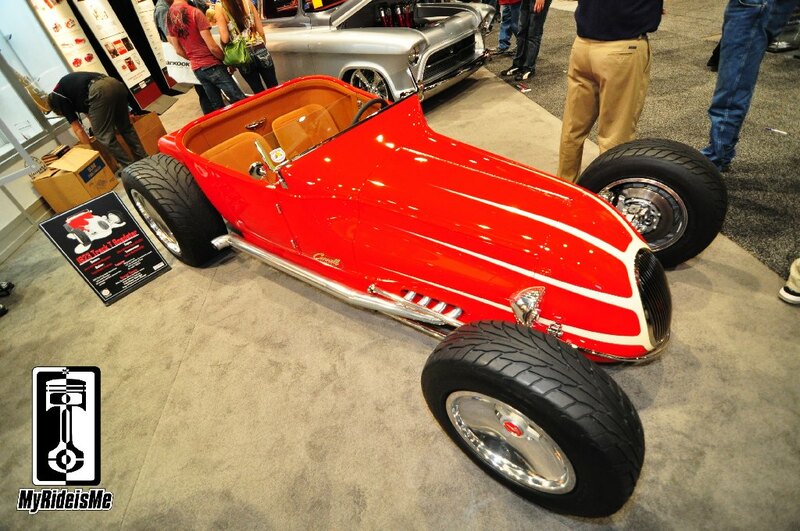 I might also be making a few new plans for my roadster! I know the folks over there very well, send me an email i will get you in contact with them.